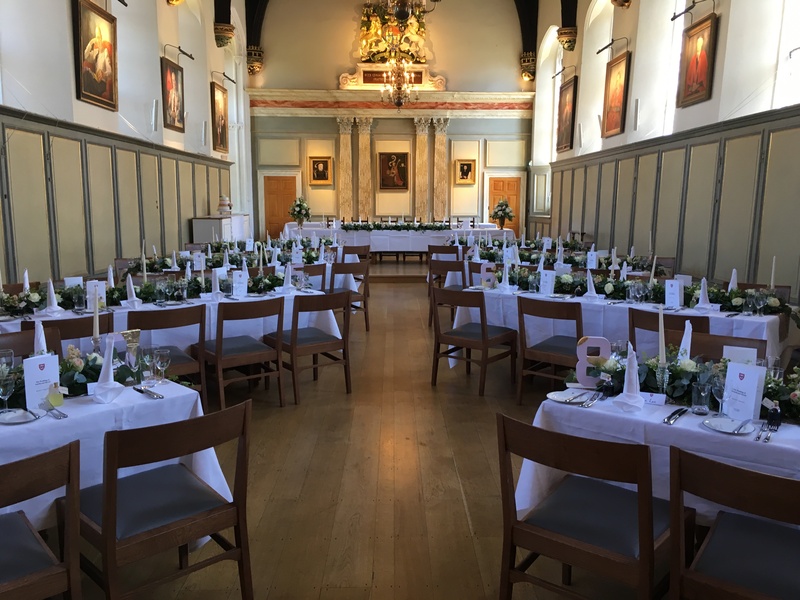 Jesus College offers several attractive venues for your wedding breakfast, complemented by excellent catering and exceptional customer service. We pride ourselves on our excellent catering service, varied and seasonal menus, locally sourced produce, and extensive wine cellar. Whatever your catering needs we can help you organise a meal to remember for you and your guests. Your wedding package includes the dining venue, assorted breads to start followed by a three course meal chosen from our seasonal menus, followed by coffee and petit fours. You can choose your menu options from our new Spring/Summer menu. We include house wines within our wedding package, if you would like to choose wines from our extensive wine list, this is possible, for an additional charge. Please note that flowers are not included within the wedding package, but we would be more than happy to recommend a supplier for you to use. 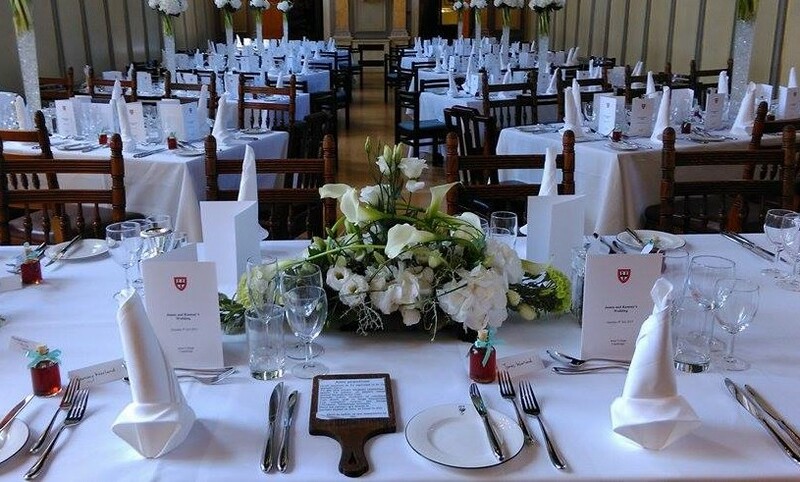 We can also set out any other table decorations, favours and place cards for you on the day. 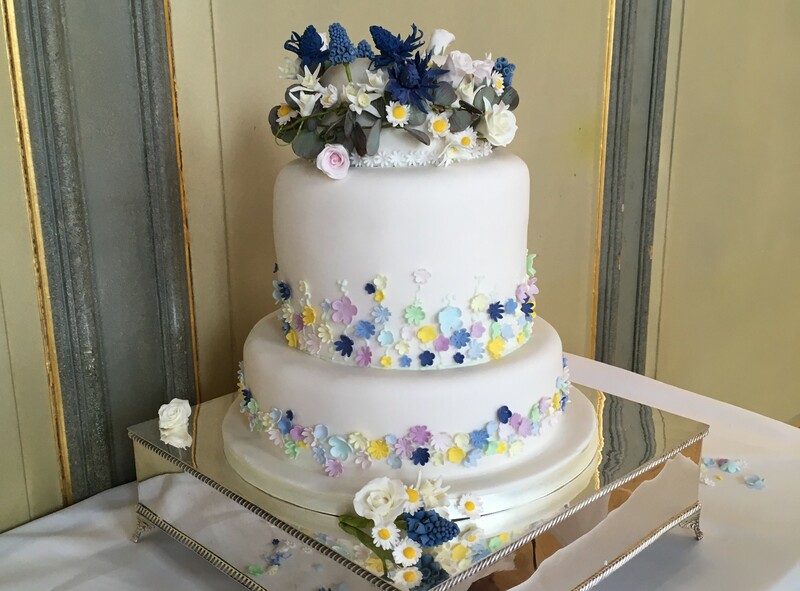 You are welcome to provide your own wedding cake which we would be happy to serve during coffee or at your wedding evening reception. The Hall provides a magnificent venue beneath vaulted ceilings, for up to 156 guests. Our Upper Hall has medieval carvings and arched windows, and offers a more intimate setting for up to 72 guests. The wood panelled walls and open fireplace of the Prioress's Room create a warm and peaceful atmosphere for up to 34 guests. 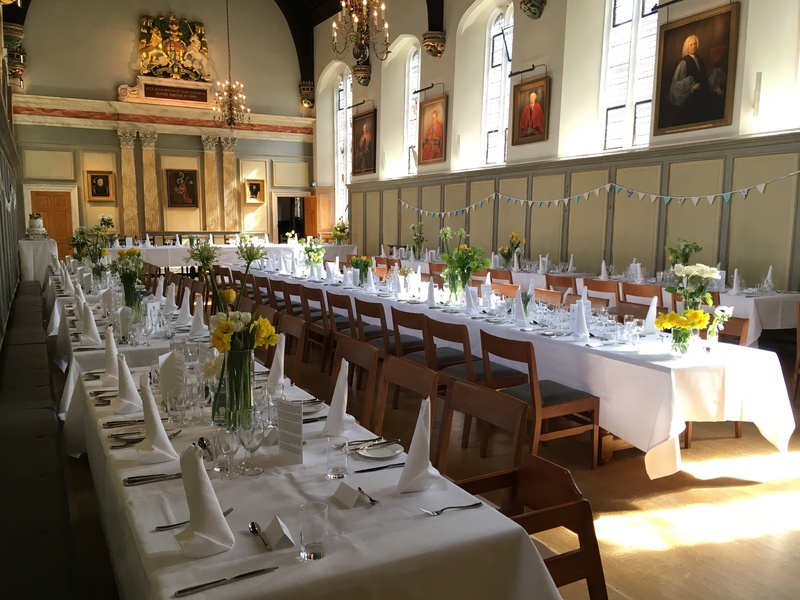 To find out more about weddings at Jesus College, please call us on +44 (0)1223 760524 or email us on conference@jesus.cam.ac.uk.